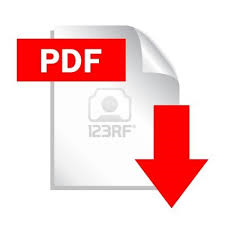 Links and PDFs are provided within fair use. It is assumed that you have proper copyright permissions to access them. J124. LY Gao, Y. Liu, LQ Ma, and H. Hu. "A Hybrid Strategy Combining Minimized Leading-Edge Electric-Heating and Superhydro-/Ice-phobic Surface Coating for Wind Turbine Icing Mitigation”, Renewable Energy, Vol. 140, pp943-956, 2019. https://doi.org/10.1016/j.renene.2019.03.112. J119. LK Li, Y. Liu, ZC Zhang and H. Hu, “Effects of Thermal Conductivity of Airframe Substrate on the Dynamic Ice Accretion Process Pertinent to UAS Inflight Icing Phenomena", International Journal of Heat and Mass Transfer, Vol. 131, pp1184-1195, 2019. https://doi.org/10.1016/j.ijheatmasstransfer.2018.11.132. J117. Y. Liu, C. Kolbakir, A. Starikovskiy, R. Miles and H. Hu, “An Experimental Study on the Thermal Characteristics of NS-DBD Plasma Actuation and Application for Aircraft Icing Mitigation". Plasma Sources Science and Technology, Vol. 28, 014001(24pp), 2019. https://doi.org/10.1088/1361-6595/aaedf8. J116. WW Zhou, D. Peng, YZ Liu and H. Hu, “Assessment of film cooling's surface quantities using pressure and temperature-sensitive paint: comparisons between shaped and sand-dune inspired holes". Experimental Thermal and Fluid Science, Vol. 101, pp16-26, 2019. https://doi.org/10.1016/j.expthermflusci.2018.10.005. J115. LY Gao, Y Liu, WW Zhou, and H. Hu, “An Experimental Study on the Aerodynamic Performance Degradation of a Wind Turbine Blade Model Induced by Ice Accretion Process". Renewable Energy, Vol. 133, No.4, pp663-675, 2019. https://doi.org/10.1016/j.renene.2018.10.032. J114. H. Hu and BH Sun, “New Development in near-wall PIV measurements". SCIENCE CHINA Physics, Mechanics & Astronomy, Vol. 61 No. 9: 094731, 2018. DOI: 10.1007/s11433-018-9248-x. J112. WL Chen, DL Gao, H. Li and H. Hu, "Wake-flow-induced vibrations of vertical hangers behind the tower of a long-span suspension bridge", Engineering Structures, Vol. 169, pp188-2000, 2018. https://www.sciencedirect.com/science/article/pii/S0141029618315566. J111. Y. Liu, L. Ma, W. Wang, A. Kota and H. Hu, “An Experimental Study on Soft PDMS Materials for Aircraft Icing Mitigation", Applied Surface Science, Vol. 447, pp599-609, 2018. https://doi.org/10.1016/j.apsusc.2018.04.032. J110. JB Liu, AX Guo, H. Li and H. Hu, “Methodology for wave force monitoring of bottom-mounted cylinder using the measurement of the wave surface elevation around the body surface", Journal of Fluids and Structures, Vol. 78, pp197-214, 2018. https://doi.org/10.1016/j.jfluidstructs.2018.01.001. J109. Y. Liu and H. Hu, “An Experimental Investigation on the Unsteady Heat Transfer Process over an Ice Accreting Airfoil Surface", International Journal of Heat and Mass Transfer, Vol. 122, pp707-718, 2018. https://doi.org/10.1016/j.ijheatmasstransfer.2018.02.023. J107. ZY Wang, W. Tian and H. Hu, “A Comparative Study on the Aeromechanic Performances of Upwind and Downwind Horizontal-Axis Wind Turbines", Energy Conversion and Management, Vol. 163, pp100-110, 2018. https://doi.org/10.1016/j.enconman.2018.02.038. J104. WW Zhou, Y. Liu, HY Hu, XS Meng, and H. Hu, “Utilization of Thermal Effect Induced by Plasma Generation for Aircraft Icing Mitigation". AIAA Journal, Vol. 56, No. 3, pp. 1097-1104. 2018. DOI: 10.2514/1.J056358. J103. JB. Liu, AX. Guo, QH. Fang; H. Li, PF Liu, H. Hu, “Investigation of linear wave action around a truncated cylinder with non-circular cross-section". Journal of Marine Science and Technology, Vol. 23, No. 4, pp866-876, 2018. https://link.springer.com/article/10.1007/s00773-017-0516-0. J102. W. Tian, A. Ozbay, and H. Hu, “An experimental investigation on the aeromechanics and wake interferences of wind turbines sited over complex terrain". Journal of Wind Engineering & Industrial Aerodynamics, Vol.172, pp379-394, 2018. https://doi.org/10.1016/j.jweia.2017.11.018. J100. W. Tian, A. Ozbay and H. Hu, “An Experimental Investigation on the Wake Interference Among Wind Turbines Sited in Aligned and Staggered Wind Farms”. Wind Energy, Vol. 21, No. 2, pp100-114, 2018. https://doi.org/10.1002/we.2147. J99. DL Gao, WL Chen, H. Li, and H. Hu, “Flow around a slotted circular cylinder at various angles of attack". Experiments in Fluids, 58:132, 2017. DOI 10.1007/s00348-017-2417-8. J98. W. Tian, A. Ozbay, XD Wang, and H. Hu, “Experimental investigation on the wake interference among wind turbines sited in atmospheric boundary layer winds". Acta Mechanica Sinica, Vol. 33, No.4,pp742–753, Springer, 2017. DOI: 10.1007/s10409-017-0684-5. J97. WW Zhou and H. Hu, “A Novel Sand-Dune-Inspired Design for Improved Film Cooling Performance", International Journal of Heat and Mass Transfer, Vol. 110(7), pp908–920, 2017.http://www.sciencedirect.com/science/article/pii/S0017931017303757. J96. Y. Liu, L. Bond and H. Hu, “Ultrasonic-Attenuation-Based Technique for Ice Characterization Pertinent to Aircraft Icing Phenomena", AIAA Journal, Vol. 55, No. 5, pp. 1602-1609. 2017. http://dx.doi.org/10.2514/1.J055500. J95. WW Zhou and H. Hu, “Effects of Flow Compressibility and Density Ratio on Film Cooling Performance", AIAA Journal of Power and Propulsion, Vol. 33, No. 4, pp. 964-974, 2017. http://arc.aiaa.org/doi/pdf/10.2514/1.B36275. J94. F Chen, H. Liu, ZF Yang and H. Hu, “Tracking characteristics of tracer particles for PIV measurements in supersonic flows", Chinese Journal of Aeronautics, Vol.30, No.2, pp. 577-585, 2017. http://dx.doi.org/10.1016/j.cja.2016.12.033. J93. Y. Liu, WL Chen, L. Bond and H. Hu, “An Experimental Study on the Characteristics of Wind-driven Surface Water Film Flows by Using a Multi-Transducer Ultrasonic Pulse-Echo Technique", Physics of Fluids, 29, 012102 (13 pages), 2017. http://dx.doi.org/10.1063/1.4973398. J92. WL Chen, DL Gao, H. Li, H. Hu “Flow around a circular cylinder with slit", Experimental Thermal and Fluid Science, Vol. 82, No. 4, pp287-301, 2017. http://dx.doi.org/10.1016/j.expthermflusci.2016.11.025. J91. WL Chen, XJ Wang, F. Xu, H. Li, H. Hu, “A passive jet flow control method for suppressing unsteady vortex shedding from a circular cylinder", ASCE's Journal of Aerospace Engineering, Vol. 30, No. 1, 04016063 (19 pages), 2017. DOI: 10.1061/(ASCE)AS.1943-5525.0000661. J90. ZY. Wang. W Tian, A. Ozbay, A. Sharma and H. Hu, “An Experimental Study on the Aeromechanics and Wake Characteristics of a Novel Twin‐Rotor Wind Turbine in a Turbulent Boundary Layer Flow", Experiments in Fluids, 57:150 (17 pages), 2016. DOI 10.1007/s00348-016-2233-6. J89. WW Zhou and H. Hu, “Improvements of Film Cooling Effectiveness by using Barchan-Dune-Shaped-Ramps ", International Journal of Heat and Mass Transfer, Vol. 103, No. 12, pp442-456, 2016. DOI:10.1016/j.ijheatmasstransfer.2016.07.066 . J88. B. Blake, and H. Hu, “Measurement Uncertainty Analysis in Determining Adiabatic Film Cooling Effectiveness by using Pressure Sensitive Paint (PSP) Technique", ASME Journal of Turbomachinery, 138(12), 121004, (11 pages), 2016. DOI: 10.1115/1.4033506. J87. A. Ozbay, W. Tian and H. Hu, “An Experimental Investigation On The Wake Characteristics and Aeromechanics of Dual-Rotor Wind Turbines", ASME Journal of Engineering for Gas Turbines and Power, Vol.138, No.4, 042602 (15 pages). DOI:10.1115/1.4031476. J86. W. Tian, A. Bodling, H. Liu, JC. Wu, GW He and H. Hu, “An Experimental Study of the Effects of Pitch-pivot-point Location on the Propulsion Performance of a Pitching Airfoil", Journal of Fluids and Structures, Vol. 60, No. 1, pp130-142, 2016. DOI:10.1016/j.jfluidstructs.2015.10.014. J85. WW. Zhou, Y. Rao and H. Hu, “An Experimental Investigation on the Characteristics of Turbulent Boundary Layer Flows over a Dimpled Surface", ASME Journal of Fluids Engineering, Vol. 138, No. 2, 021204(13 pages), 2016.DOI:10.1115/1.4031260. J84. R. Waldman and H. Hu. "High-Speed Imaging to Quantify the Transient Ice Accretion Process on a NACA 0012 Airfoil". Journal of Aircraft, volume 53, issue 2 on pages 369-377, 2016, DOI: 10.2514/1.C033367. J82. HX. Li, F. Chen and H. Hu, “Simultaneous Measurements of Droplet Size, Flying Velocity and Transient Temperature of In-Flight Droplets by Using a Molecular Tagging Technique", Experiments in Fluids, 56:194(14 pages), 2015. DOI: 10.1007/s00348-015-2063-y. J80. K. Zhang, W. Tian and H. Hu, “An Experimental Investigation on the Surface Water Transport Process over an Airfoil by using a Digital Image Projection Technique", Experiments in Fluids, 56:173 (16 pages), 2015.DOI: 10.1007/s00348-015-2046-z. J77. F. Chen, HX. Li, H. Hu, “Molecular Tagging Techniques and Their Applications to Study Complex Thermal Flow Phenomena", Acta Mechanica Sinica, Springer, Vol. 31, No. 4, pp425-445, 2015. https://link.springer.com/article/10.1007/s10409-015-0464-z. J76. WL Chen, QQ Zhang, H. Li, and H Hu, “An experimental investigation on vortex induced vibration of a flexible inclined cable under a shear flow”, Journal of Fluids and Structures, Vol. 54, No. 4, pp297–311, 2015. https://doi.org/10.1016/j.jfluidstructs.2014.11.007. J74. W. Tian and A. Ozbay and H. Hu, “Effects of Incoming Surface Wind Conditions on the Wake Characteristics and Dynamic Wind Loads Acting on a Wind Turbine Model”. Physics of Fluids, Vol. 26, No. 12, 125108 (2014); http://dx.doi.org/10.1063/1.4904375. J72. Y Zhang, H. Hu and P. Sarkar, "Comparison of microburst-wind loads on low-rise structures of various geometric shapes", Journal of Wind Engineering & Industrial Aerodynamics, Vol. 133, pp181–190, 2014. DOI:10.1016/j.jweia.2014.06.012. J71. B. Johnson, W. Tian, K. Zhang and H. Hu, "An Experimental Study of Density Ratio Effects on the Film Cooling Injection from Discrete Holes by Using PIV and PSP Techniques", International Journal of Heat and Mass Transfer, Vol. 76, pp. 337-349, 2014. DOI: 10.1016/j.ijheatmasstransfer.2014.04.028. J70. WL Chen, H. Li and H. Hu, "An Experimental Study on the Unsteady Vortices and Turbulent Flow Structures around Twin-Box-Girder Bridge Deck Models with Different Gap Ratios", Journal of Wind Engineering and Industrial Aerodynamics, Vol. 132, pp.27-36, 2014. DOI:10.1016/j.jweia.2014.06.015. J68. W. Yuan, W. Tian, A. Ozbay and H. Hu, "An Experimental Study on the Effects of Relative Rotation Direction on the Wake Interferences among Tandem Wind Turbines". SCIENCE CHINA Physics, Mechanics & Astronomy, Vol. 57, No.5, pp935-949, 2014. Doi:10.1007/s11433-014-5429-x. J67. WL. Chen, H. Li and H. Hu, “An Experimental Study on a Suction Flow Control Method to Reduce the Unsteadiness of the Wind Loads acting on a Circular Cylinder”, Experiments in Fluids, Vol.55, No. 4, 1707 (20 pages), 2014. http://dx.doi.org/10.1007/s00348-014-1707-7 . J66. Z. Yang, M. Ninno, Z. Wen and H. Hu, "An Experimental Investigation on the Multiphase Flows and Turbulent Mixing in a Flat-Panel Photobioreactor for Algae Cultivation", Journal of Applied Phycology, Vol. 26, No.5, pp2097-2107, 2014. http://dx.doi.org/10.1007/s10811-014-0239-0. J64. Yu ML, Wang ZJ, Hu H, “High Fidelity Numerical Simulation of Airfoil Thickness and Kinematics Effects on Flapping Airfoil Propulsion” Journal of Fluids and Structures, Vol. 42(10), pp166-186, 2013. http://dx.doi.org/10.1016/j.jfluidstructs.2013.06.001. J63. Zhang Y, Hu H, Sarkar PP, “Modeling of Microburst Outflows using Impinging Jet and Cooling Source Approaches and Their Comparison", Engineering Structures, Vol.56(11), pp779-793, 2013. DOI:10.1016/j.engstruct.2013.06.003. J62. Zhang Y, Sarkar PP, Hu H, “An Experimental Study of Flow Fields and Wind Loads on Gable-roof Building Models in Microburst-like Wind", Experiments in Fluids, Vol.54(5):1511; 21pages, 2013. DOI: 10.1007/s00348-013-1511-9. J61. Yu ML, Wang ZJ, Hu H, “Formation of bifurcated wakes behind finite-span flapping wings", AIAA Journal, Vol. 51, No. 8, pp2040-2044, 2013. DOI:10.2514/1.J052300. J60. Chen WL, Xin DB, Xu F, Li H, Hu H, “Suppression of vortex-induced vibration of a circular cylinder using a suction-based flow control", Journal of Fluids and Structures, Vol. 42(10), pp25-39, 2013. DOI:10.1016/j.jfluidstructs.2013.05.009. J59. Chen WL, Tang S, Li H, Hu H, "Influence of Dynamic Properties and Position of Rivulet on Rain-Wind-Induced Vibration of Stay Cables", Journal of Bridge Engineering, 18(10), 1021–1031, 2013. DOI: 10.1061/(ASCE)BE.1943-5592.0000443. J58. Hu H, Yang Z, Sarkar PP, “Dynamic Wind Loads and Wake Characteristics of a Wind Turbine Model in an Atmospheric Boundary Layer Wind", Experiments in Fluids, Vol. 52, No. 5, pp1277-1294, 2012. DOI: 10.1007/s00348-011-1253-5. J57. Yang ZF and Hu H, "An Experimental Investigation on the Trailing Edge Cooling of Turbine Blades", Propulsion and Power Research, Vol.1, No.1, pp36-47, 2012. DOI:10.1016/j.jppr.2012.10.007. J56. Jin ZY and Hu H, “Effects of Surface Temperature on the Droplet Evaporation", Journal of Tongji University, Vol. 40 No. 3, pp495-498, 2012. DOI:10.3969/j.issn.0253-374x.2012.03.028. J55. Yu ML, Wang ZJ, Hu H, “Airfoil Thickness Effects on the Thrust Generation of Plunging Airfoils", Journal of Aircraft, Vol.49, No.5, pp1434-1439, 2012. DOI:10.2514/1.C20031720. J54. Yang ZF, Sarkar PP, and Hu H, “Visualization of the Tip Vortices in a Wind Turbine Wake”, Journal of Visualization, Vol.15, No.1, pp39-44, 2012. DOI:10.1007/s12650-011-0112-z. J53. Hu H, Koochesfahani MM, “Thermal Effects on the Wake of a Heated Circular Cylinder Operating in Mixed Convection Regime”, Journal of Fluid Mechanics, Vol.685, pp235-270, 2011. DOI:10.1017/jfm.2011.313. J52. Hu H, Yang Z, Sarkar PP, Haan F, “Characterization of the Wind Loads and Flow Fields around a Gable-roof Building Model in Tornado-like Winds”, Experiments in Fluids, Vol.51, No.3, pp 835-851, 2011. DOI:10.1007/s00348-011-1102-6. J51. Hu H, Yang Z, Igarashi H, Martin M, “An Experimental Study of Stall Hysteresis of a Low-Reynolds-Number Airfoil", International Journal of Aerospace and Lightweight Structures, Vol.1, No. 2, pp221-238, 2011. DOI: 10.3850/S2010428611000171. J50. Yu M, Wang ZJ and Hu H, “A High-Order Spectral Difference Method for Unstructured Dynamic Grids”, Computers and Fluids, Vol. 48, No.1, pp84-97, 2011. DOI:10.1016/j.compfluid.2011.03.015. J49. ZF Yang, Sarkar P, Hu H, “An experimental study of flow field around a high-rise building model in tornado-like winds”, Journal of Fluids and Structures, Vol. 27, No. 4, pp471-486, 2011. DOI:10.1016/j.jfluidstructs.2011.02.011. J48. Hu H, Clemons L, Igarashi H, “An Experimental Study of the Unsteady Vortex Structures in the Wake of a Root-Fixed Flapping Wing”, Experiments in Fluids, Vol.51, No.2, pp347–359, 2011. DOI: 10.1007/s00348-011-1052-z. J47. Yang ZF, Hu H, “Trailing Edge Cooling Effectiveness Measurements of Turbine Blades Using Pressure Sensitive Paint (PSP) Technique”, AIAA Journal of Propulsion and Power, Vol.27, No.3, pp700-709, 2011. DOI: 10.2514/1.54202. J46. Wang B, Demuren A, Gyuricsko E, Hu H, “An Experimental Study of Pulsed Micro Flows Pertinent to Continuous Subcutaneous Insulin Infusion Therapy”, Experiments in Fluids, Vol. 51, No. 1, pp65-74, 2011.DOI: 10.1007/s00348-010-1033-7. J45. Yang Z, Sarkar P, Hu H, “Visualization of Flow Structures around a Gable-roofed Building Model in Tornado-like Winds”, Journal of Visualization, Vol.13, No.4., pp285-288, 2010. DOI:10.1007/s12650-010-0052-z. J44. Hu H, Jin Z, Koochesfahani MM, Lum C, Nocera D, “Experimental Investigations of Micro-Scale Flow and Heat Transfer Phenomena by using Molecular Tagging Techniques”, Measurement Science and Technology, Vol.21, No.8. 085401, 2010. DOI: 10.1088/0957-0233/21/8/085401. J43. Jin Z, Hu H, “Icing Process of Small Water Droplets Impinging onto a Frozen Cold Plate”, AIAA Journal of Thermophysics and Heat Transfer, Vol. 24., No.4, pp841-845, 2010. DOI:10.2514/1.49606. J42. Hu H, Gopa-Kumar A, Abate G, and Albertani R, “An Experimental Study of Flexible Membrane Wings in Flapping Flight”, Aerospace Science and Technology, Vol.14, No.8, pp575-586. 2010. DOI:10.1016/j.ast.2010.05.003. J41. Murphy JT, Hu H, “An Experimental Study of a Bio-inspired Corrugated Airfoil for Micro-Air-Vehicle (MAV) Applications”, Experiments in Fluids, Vol. 49, No.2, pp531-546, 2010. DOI:10.1007/s00348-010-0826-z. J40 Jin Z, Hu H, “Mixing Enhancement by Utilizing Electro kinetic Instability in Different Y-shaped Microchannels”, Journal of Visualization, Vol. 13, No.3, pp229-239, 2010. DOI:10.1007/s12650-010-0034-1. J39. Hu H, Jin Z, “An Icing Physics Study by using Lifetime-based Molecular Tagging Thermometry Technique", International Journal of Multiphase Flow, Vol. 36, No.8, pp672–681, 2010. DOI:10.1016/j.ijmultiphaseflow.2010.04.001. J38. Hu H, Huang D, "Simultaneous Measurements of Droplet Size and Transient Temperature within Surface Water Droplets", AIAA Journal, Vol.47, No.4, pp813-820, 2009. http://arc.aiaa.org/doi/pdf/10.2514/1.37158. J37. Jin Z, Hu H "Quantification of Unsteady Heat Transfer and Phase Changing Process inside Small Icing Water Droplets", Review of Scientific Instruments, Vol. 80, No.6, 2009. https://doi.org/10.1063/1.3139005. J36. Tamai M, Hu H, "A Bio-inspired Corrugated Airfoil at Low Reynolds Numbers", AIAA Journal of Aircraft, Vol. 45, No. 6, pp2068-2077, 2008. http://arc.aiaa.org/doi/pdf/10.2514/1.37173. J35. Tamai M, Murphy JT, Hu H, "Flexible Membrane Airfoils at Low Reynolds Numbers", AIAA Journal of Aircraft, Vol. 45, No. 5, pp1767-1778, 2008. http://arc.aiaa.org/doi/pdf/10.2514/1.36438. J34. Hu H, Kobayashi T, "Vortex Structures Downstream a Lobed Nozzle/Mixer", Journal of Aerospace Power, Vol.23, No.7, pp1266-1278, 2008. http://www.jasp.com.cn/ch/index.aspx. J32. Hu H, Jin Z, Dawoud A, Jankowiak R, "Fluid Mixing Control Inside a Y-shaped Microchannel by Using Electrokinetic Instability", Journal of Fluid Science and Engineering, Vol.3, No.2, pp260-273, 2008. https://www.jstage.jst.go.jp/article/jfst/3/2/3_2_260/_article. J31. Yang Z, Hu H, "Laminar Flow Separation and Transition on a Low-Reynolds-Number Airfoil", Journal of Aircraft, Vol. 45, No.3, pp1067-1070, 2008. http://arc.aiaa.org/doi/pdf/10.2514/1.35051. J30. Jin Z, Someya S, Okamoto K, Hu H, "Mixing Enhancement in a Microfluidic Device", Journal of Visualization, Vol.11, No. 1, pp35-36, 2008. http://link.springer.com/article/10.1007/BF03181911. J29. Huang D, Hu H, "Molecular Tagging Thermometry for the Transient Temperature Mapping within a Water Droplet", Optics Letters, Vol.32. No.24, pp3534-3536, 2007.http://www.opticsinfobase.org/ol/abstract.cfm?uri=ol-32-24-3534. J27. Hu H, Lum C, Koochesfahani MM, "Molecular Tagging Thermometry with Adjustable Temperature Sensitivity", Experiments in Fluids, Vol.40, No. 5, pp753-763, 2006.http://link.springer.com/article/10.1007/s00348-006-0112-2. J26. Hu H, Koochesfahani MM, "A Novel Molecular Tagging Technique for Simultaneous Measurements of Flow Velocity and Temperature Fields", Journal of Visualization, Vol.9, No.4, pp357, 2006. https://link.springer.com/article/10.1007/BF03181770. J25. Hu H, Koochesfahani MM, "Molecular Tagging Velocimetry and Thermometry (MTV&T) Technique and Its Application to the Wake of a Heated Circular Cylinder", Measurement Science and Technology, Vol. 17, No. 6, pp1269-1281, 2006. http://iopscience.iop.org/article/10.1088/0957-0233/17/6/S06/meta. [Outstanding Paper Award Winner] . J24. Hu H, Saga T, Kobayashi T, Taniguchi N, "Analysis of a Turbulent Jet Mixing Flow by Using a PIV-PLIF Combined System", Journal of Visualization, Vol.7, No.1, pp33-42, 2004. https://link.springer.com/article/10.1007/BF03181483. J22. Hu H, Saga T, Kobayashi T, Taniguchi N, "Mixing Process in a Lobed Jet Flow", AIAA Journal, Vol. 40, No. 7, pp1339-1345, 2002. http://arc.aiaa.org/doi/pdf/10.2514/2.1793. J20. Hu H, Saga T, Kobayashi T, Taniguchi N, "Simultaneous Measurements of All Three Components of Velocity and Vorticity Vectors in a Lobed Jet Flow by Means of Dual-plane Stereoscopic Particle Image Velocimetry". Physics of Fluids, Vol. 14, No. 7, pp2128-2138, 2002. http://aip.scitation.org/doi/abs/10.1063/1.1481741. J19. Li H, Hu H, Saga T, Kobayashi T, Taniguchi N, "Application of Wavelet Vector Multi-resolution Technique to Stereoscopic PIV Measurements in a Lobed Jet", AIAA Journal, Vol. 40 No. 6, pp1037-1046, 2002. https://arc.aiaa.org/doi/pdf/10.2514/2.1777. J18. Li H, Hu H, Saga T, Kobayashi T,Taniguchi N, "Exaction of a Multi-scale Structures of a Turbulent Lobed Jet from PIV Results Using a Vector Wavelet Multi-resolution Technique", Transaction of Japan Society for Aeronautical and Space Science, Vol. 45, No.147, pp61-65, 2002.https://www.jstage.jst.go.jp/article/tjsass/45/147/45_147_61/_pdf. J16. Li H, Hu H, Saga T, Kobayashi T, Taniguchi N, "Visualization of Multi-scale Turbulent Structure in a Lobed Mixing Jet Using Wavelets", Journal of Visualization, Vol. 4, No. 3, pp231-238, 2001. https://link.springer.com/article/10.1007/BF03182583. J15. Hu H, Saga T, Kobayashi T, Taniguchi N, Yashuki M, "Dual-plane Stereoscopic Particle Image Velocimetry: System Setup and Its Application on a Lobed Jet Mixing Flow" Experiments in Fluids, Vol. 31, No. 3, pp277-293, 2001. https://link.springer.com/article/10.1007/s003480100283. J13. Hu H, Saga T, Kobayashi T, Taniguchi N, "Measurement on a Lobed Jet Mixing Flow by Using Stereoscopic PIV Technique ", Album of Visualization. Vol.17, 2000. ISSN 0919-4630. J12. Hu H, Saga T, Kobayashi T, Taniguchi N, "Particle Image Velocimetry and Planar Laser Induced Fluorescence Measurements on Lobed Jet Mixing Flows ", Experiments in Fluids. Vol. 29 No.7, pps141-157, 2000. https://link.springer.com/article/10.1007/s003480070016. J11. Saga T, Hu H, Kobayashi T, Murata T, Okamoto K, Nishio S, "A Comparative Study of PIV and LDV Measurement on a Self-induced Sloshing Flow ", Journal of Visualization, No.3 Vol.2, pp145-156, 2000. https://link.springer.com/article/10.1007/BF03182407. J10. Hu H, Saga T, Kobayashi T, Taniguchi N, "Research on the Vortical and Turbulent Structures in a Lobed Jet Flow by Using LIF and PIV ", Measurement Science and Technology, Vol.11, No.6 pp698-711. 2000. http://iopscience.iop.org/article/10.1088/0957-0233/11/6/313. J9. Hu H, Saga T, Kobayashi T, Taniguchi N, Segawa S, "Visualization on the Vortex Structures in a Lobed Jet Mixing Flow", Journal of the Visualization Society of Japan, Vol.20, No.77, 2000. J7. H. Hu, T. Saga, T. Kobayashi, N. Taniguchi, and S. Wu, "Research on The Rectangular Lobed Exhaust Ejector/Mixer Systems", Transactions of Japan Society of Aeronautics & Space Science, Vol.41, No.134, pp187-194, 1999. J6. Kobayashi T, Saga T, Hu H, "Research on the Standardization and Generalization of PIV Technique: Part 1, Evaluation of Image Processing Algorithms by Using PIV Standard Images", Journal of Institute of Industrial Science, Vol.51, No.4, pp29-32, 1999. J5. Kobayashi T, Saga T, Hu H, "Research on the Standardization and Generalization of PIV Technique: Part 2, PIV Standard Experiment", Journal of Institute of Industrial Science, Vol.51, No.4, pp29-32. 1999. J4. Hu H, Saga T, Kobayashi T, Okamoto T, Taniguchi N, "Evaluation of Cross Correlation Method by Using PIV Standard Images", Journal of Visualization, Vol.1, No.1, pp87-94, 1998. https://link.springer.com/content/pdf/10.1007/BF03182477.pdf. J3. Hu H, Wu SS, Yu SCM, "Computational Studies of Lobed Forced Mixer Flows." Journal of Thermal Science, Vol. 7, No. 1, pp22-28, 1998. http://link.springer.com/article/10.1007%2Fs11630-998-0021-1. J2. Hu H, Liu H, Li L, Wu SS, "Experimental Research of Two Dimensional Lobed Exhaust Ejector Systems." ACTA AERONAUTICA ET ASTRONAUTICA SINICA, Vol.17.No.5, pp518-523, 1996. J1. Hu H, Wu SS, Li L, "Experimental Research of Lobed Exhaust Ejector Systems of Aero-engines." Journal of Aerospace Power, Vol. 10, No. 4, pp375-378, 1995.